Have no regrets, our inspiration points are fluid and can be crafted to just about anything you want. Use a Coffee Shop Inspiration point to make your T-Shirt business website, get creative! Or hire us to be creative for you! Health Clinic app focused on a clean clear presentation. A perfect layout for your App Development business, quickly get a professionally designed presentation. Make your keen eye for style a professional business. 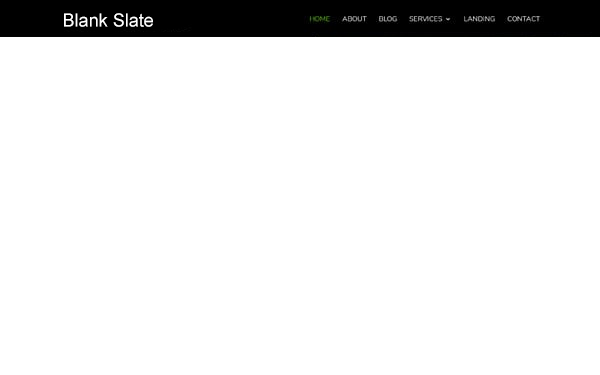 Investment Company or Financial companies can use this template to quickly make a professional website. Day Spa starting point for a massage or day spa business. Furniture Store starting point for a craftsman or retail location. Video game software launch and community site starting point. Hardware store retail style starting point. Butcher is a template showcasing a style of grocery or store. Technology News blogging or publication starting point. Online Digital Product or Service starting point. Internet Service Provider starting point mock up. Upscale designer fashion starting point. A modern financial style starting point. Create a website to educate about your cause. Stop waiting on that podcast idea and make it happen! But before you do...set up that website! Clean and crisp website starting point for any business. Get your soccer, softball, basketball, dodgeball league a great website! Perfect website starting point for all trainers and coaches. Perfect for your nutritionist coaching practice. Perfect for your dentist practice. Perfect for the notary public business. Thinking of running for public office? A cornerstone online professional presence is critical to your marketing campaign. Web Design Freelancer Website to showcase your work. Want to take your Airbnb marketing to the next level? Get a real website and make your property stand out. Perfect website for a makeup artist or makeup and hair website. Showcase those succulents, avocado seedlings and everything in between. This is the perfect website starting point for your nursery online presence. Perfect theme for a cleaning company. A theme designed to provide everything the average business will need out of the box. A theme that provides you will all of the necessary page layouts for any e-course website. A theme perfect your jumpstart your fashion business or to showcase your fashion portfolio online. A theme for any farmers market (or other non-profit) these pages will be essential to the health and ongoing success of the organization. A theme that has everything a yoga studio could possibly need on their website. The perfect theme to jumpstart your next wedding website. These days, everyone who gets married needs a website, and they expect a very specific aesthetic and some very specific features. A theme designed to look amazing out of the box. A theme designed to provide everything an average online Photo Marketplace will need out of the box. A theme designed to provide you with all the necessary designs, layouts and elements your website needs. A theme designed with florists in mind. A theme designed to get your SaaS website up and running in no time. A theme that includes some important “must haves” for a Web Agency, including a pricing page, a services page, and a portfolio page. .
A theme that represents the core values of each interior design company out there; style and expertise. A theme is perfect for any Pottery business looking to expand their services. A theme that follows, design-wise, many trends that evolved in 2017 and will keep existing and growing in 2018. A generic theme includes over a dozen layouts from a Homepage all the way to a Maintenance Mode page. If you're looking for simple wireframe style layouts, these are a great place to start. A theme that has what a consultant needs to market their services online. A theme that can be used for any type of website related to tech. A theme that make your website look sophisticated yet simple at the same time. A theme that offers an engaging way to showcase all of your conference information. A theme that allows you to focus on what's really important which is the tasty recipes you've worked on so passionately. A theme perfect for a marathon, race, or athletic event website. The theme that will help you build an online store for your cosmetics shop in just a matter of time. A theme that will definitely take any online tea shop to the next level. A theme that stand out thanks to its slick, modern and vintage design. A theme that puts the spotlight on the services you offer. A theme perfect for your highly-professional and visually-appealing architecture firm website. A theme that is fresh and inviting, perfect for showcasing property listings. Perfect for any real estate company or agent! A theme for an Author that has everything you need to showcase your work in a professional and stunning way. A theme perfect for small businesses that want to set up a website that matches the industry they're in. An excellent choice theme to create a jeweler's website from scratch. A theme designed to deliver information clearly and proficiently. A theme that includes images with overlapping social icons, featured posts with unique links and a special trip page layout designed to tell your story in an elegant way. A theme that has everything needed to facilitate the demands of any job recruiter site, including an employers page, a listings page, and a candidates page. A theme for Digital Marketing perfect for sharing readable and clear content without having to sacrifice beautiful web design. A theme for Animal Shelter that includes all the necessities an animal shelter may need, including featured animals, adoption info, events, and clear calls to action. A theme that contains everything you need to set up a trendy and playful elementary school website. A theme for any website in the service industry. A theme that has everything you need to set up a website that empowers your business. A theme perfect for your wedding planner business website. A theme perfect for any pharmacy looking to open a shop online. A theme pefect for graphic illustrator to showcase your website in a creative and professional way. A theme that has everything you need to get a Car Rental website up in no time. A theme that provide great user experience and turn visitors into leads in just a matter of time. A theme perfect for any agency looking to promote their insurance services online. A theme for companies in the construction business looking to display the services they offer and the work that they've done. A theme to help you build a gorgeous meetup website that effortlessly connects you with both sponsors and attendees. A theme built to offer a beautiful and comforting web presence to anyone looking for your therapy services online. 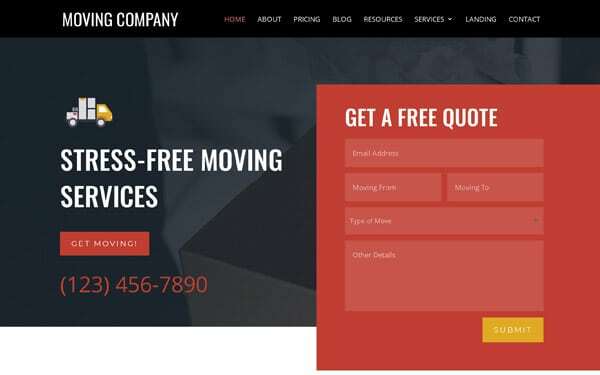 A theme perfect for your Moving Compant Business Website. A theme perfect for your caprenting business website. A theme for business coaches ready to book speaking engagements (or workshops) and promote their publications. A theme to get your visitors excited to learn languages. A theme that has everything you need for your electrical company website. A theme perfect for your transportation service business. A theme that'll take your food catering website to a higher level. A perfect theme pack that emphasizes your love for nature. Website for your gardening business. An empty blank starting point. Perfect for a tech company providing hosting. Powerful and professional Law Office starting point to help you and your firm look its very best. Great starter template for any coaching to teaching business. Get your restaurant positioned right on the internet. Perfect starting point for any business.